We are located all over York Region and I will come to you. Our goal is to be part of our community’s life. We offer care to families for life, and we do whatever it takes to make a difference. AGING IS BEAUTIFUL, let us be a part of it. For 50 years, Bayshore HealthCare has been enhancing the quality of life, dignity and independence of Canadians in their homes or in a care facility. We offer a wide range of home and community health care services through more than 70 locations across Canada. Do your aging parents or elderly loved ones depend on you for care? We can help! Let Bayshore be part of this caregiving journey with you. We make the process of arranging home care simple by taking care of all the details. Spend quality time with your elderly loved ones and let the experts at Bayshore Home Health provide personalized home care services. All our caregivers are bonded, insured and supported by a nurse, 24/7. 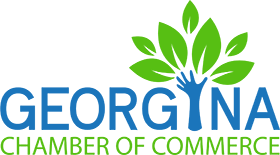 © Copyright 2019 Georgina Chamber of Commerce. All Rights Reserved. Site provided by GrowthZone - powered by ChamberMaster software.